At High Speed Technologies, Inc. Deckel Maho Spindle Repair and Rebuild is our expertise. We repair to original factory performance with a full warranty. Call 1-603-483-0333. 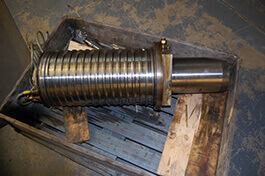 We have 30 years of experience repairing spindles used on Deckel Maho machines. Prior to 2009 Deckel Maho machines employed high end spindles manufactured by Franz Kessler. Around 2009 Deckel Maho joined forces with Mori Seiki to become DMG Mori. See our Mori Seiki portfolio page. The Franz Kessler spindles used on the Deckel Maho machines are of the highest quality and provide excellent performance. It is not unusual for us to complete a repair and have 3 to 6 µm run out at the end of a 300mm test bar! 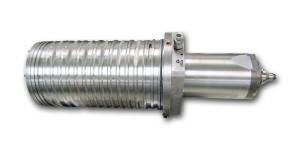 Our stringent testing / QA program assures that your spindle will look and perform like new. 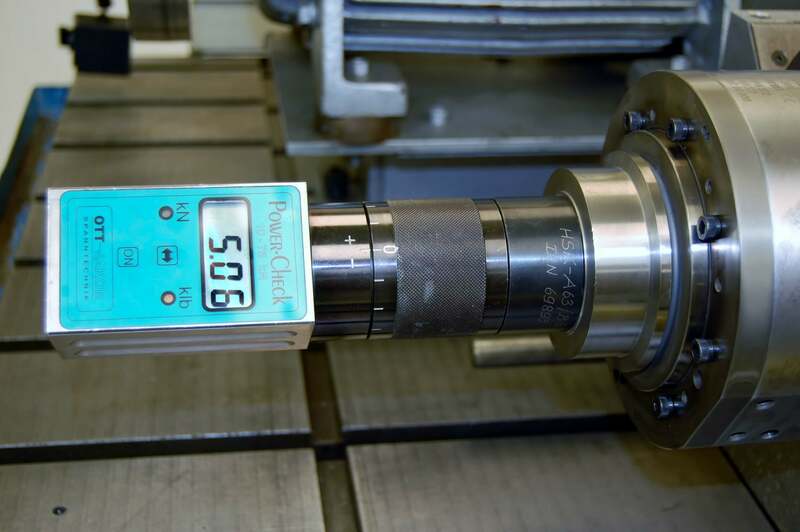 Run-out, vibration and pull force tests are just some of the tests that that your spindle will undergo before it gets our stamp of approval. 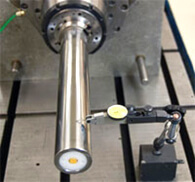 Vibration testing on a Deckel Maho Spindle. One of our customers needed an emergency repair on their Franz Kessler spindle. It was off their DMG 80H. That’s where our QTA program comes in. If your spindle is on a production critical machine ask about our Quick Turn Around capability for the fastest turnaround time available. The emergency spindle repair was quick. But there was no sacrifice in quality. 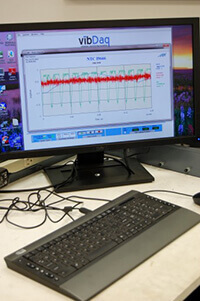 The spindle was subjected to and passed all tests in our thorough QA program. For more information see our Franz Kessler and Mori Seiki Pages. HST has been trusted for more than 30 years for CNC Deckel Maho spindle repair.